"We walked the Camino Ingles through CaminoWays.com. The hotels we stayed in were the best available on the route. Staff were all friendly and helpful. Luggage transfers went without a hitch. We enjoyed all meals- breakfast and dinner- but one. Our packets gave valuable trip information and tips. The hotel information was very good. CaminoWays responded immediately to our pre-trip questions. We felt it was a good deal for the money spent. We are planning another Camino and will certainly book through Camino Ways again!" "I would highly recommend Camino Ways to everyone. From my initial enquiry to coming home, they were really great to deal with - answering any query quickly, the same day, with confidence and competence and my whole experience was truly superb. My friend and I had a wonderful experience walking the English Way. 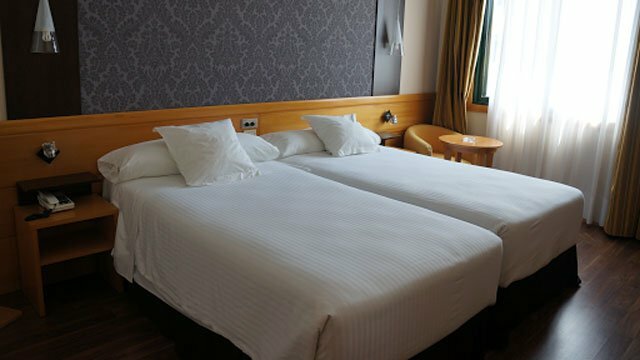 Our hotels were all very different and the staff were ALL so helpful and friendly. 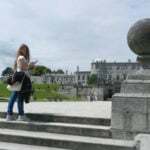 We thought each accommodation had been hand picked by the Camino Ways team and we wrote to thank them immediately we got back to UK for one of our best ever treks." This cycling trip along the Via Appia will take you 10 nights, from the beautiful coastal town of Formia, northwards to Rome. Along the way the route passes along stretches of the original Via Appia known as the Via Appia Antica. This route was Europe’s first ‘highway’ and one of the most important Roman roads. Built in 312 BC, the Via Appia connected Rome to Brindisi, Apulia, in southeast Italy. It was from here that Roman ships sailed to Greece and Egypt. As it was originally built for military purposes you will be walking in the footsteps of Julius Caesar and other Roman leaders. The famous slave leader called Spartacus was crucified on the Via Appia in 71 BC. The route passes through the stunning Italian landscape and past wonderful Roman ruins. The final stretch of the Via Appia is surely one of the highlights of any trip in Italy as it takes you along the ancient cobbles past the ruins of countless Roman mausoleums and Villas before entering the ‘Eternal City’ via the Porta San Sebastiano in the old city walls. This is a cycling package as it passes along the route of the ancient Via Appia which in places is still in use as public roads. Click below to create your trip. Today on the Via Appia is quite flat with some short hills in the last 8kms. After travelling along quite country lanes again you will then make your way onto a beautiful track along hillsides. 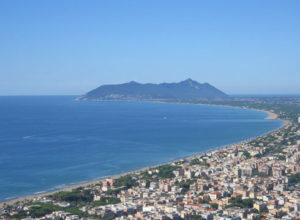 Finally you will drop down to the sea once again and the ancient city of Terracina. You will finish at the Piazza Municpio which is surrounded by points Archaeological interest. In early christian times, Terracina was a popular departure point for pilgrims to Jerusalem. The Southern edge of the town has a 4km beach. Easy Cycling Option: You can choose to split this cycling day in two and stay in Fondi, between Formia and Terracina. 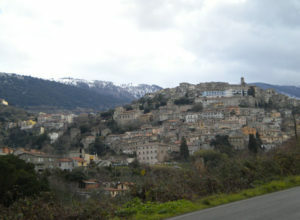 From Sezze the Via travels along farm tracks to the edge of the beautiful, little town of Sermoneta, which is well worth a stop. Your day will end with the climb up to the town of Norma. On the edge of the town you will find the remains of a temple, within a large Roman complex. Easy Cycling Option: You can choose to split this cycling day and stay in Fossanova and/or Sezze, between Terracina and Norma. Today is a short day on the Via Appia which sees you travelling along the edge of the hills. Below you on the left are the plains which stretch as far as the sea. 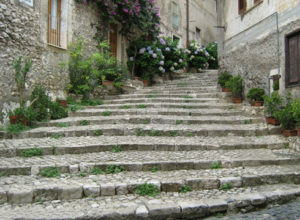 After you drop down to cross the Fosso della Catena, you will climb up into the medieval town of Cori. The area is synonymous with both red and white wine production. You will have a flat start to your day but after a few kilometres you will begin a long gradual climb along a lovely forest path. Once over the top you will drop down to the stunning town of Nemi which overlooks the volcanic Lago de Nemi. You will exit the town along a lovely cobbled road before moving onto another forest track. In the middle of the woods you will reach the remains of the Roman Fontan Tempesto. This will forest path will bring you almost all of the way to Castel Gandolfo. 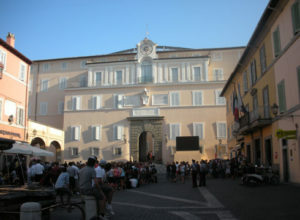 The town is most famous for the Apolostic Palace of Castel Gandolfo which was once the summer residence of the Pope. It is now a museum. Easy Cycling Option: You can choose to split this cycling day and stay in Velletri, between Cori and Castel Gandolfo. 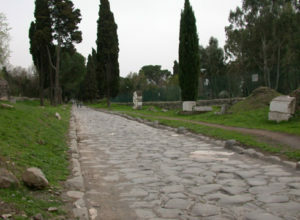 Your final day on the Via Appia will take you along the classic ancient Via Appia. This more or less dead straight stretch of the Via Appia will take you back in time as you make your way over the polished cobblestones with remains of Roman tombs, villas and aquaducts scattered all along it. You will eventually make your way into Rome: past the colosseum, the Roman Forum, Castel Sant Angelo and on to finish in St Peters Square at the Vatican. Make sure you take some time to explore Rome and all its wonderful heritage, such as the Pantheon, the Colosseum, the Trevi Fountain, Castel Sant Angelo… If you’d like to book additional nights, let the CaminoWays.com travel consultants know. Naples International Airport 87km: Take the bus from the airport to Napoli Centrale train station (every 20 minutes, taking 4 minutes). 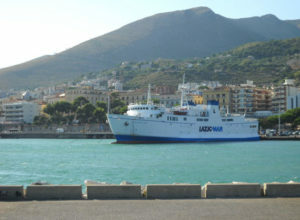 From there take the train to Formia (every hour, taking 49 minutes). Rome Ciampino Airport 121km: Take the train from the airport to Roma Termini train station (every 10 minutes, taking 16 minutes). From there take the train to Formia (every hour, taking 1h6mins). Rome Leonardo da Vinci Airport 152km: Take the train from the airport to Roma Termini train station (every 15 minutes, taking 32 minutes). From there take the train to Formia (every hour, taking 1h6mins). Rome Leonardo da Vinci- Fiumicino Airport 31km: You can take the Leonardo Express train (30min, €11) from Roma Termini Station to Fiumicino airport, see: www.trenitalia.com. The FL1 regional train also connects the airport with the main train stations in Rome. Alternatively there is a shuttle bus from Termini Station and Vatican (Via Crescenzio n2), departing every hour (55min approx, €6). For more info, see: www.sitbusshuttle.com or http://www.terravision.eu/.